Olympique Lyonnais manager Bruno Genesio has slammed his players after they let a two-goal lead slip during their draw against Hoffenheim. Genesio criticized his players’ “bad choices” after a late equalizer from the German club put a dent in their hopes of reaching the UEFA Champions League knockout stage in a 2-2 draw. Lyon led by two goals at the break, courtesy of goals from Nabil Fekir and Tanguy NDombele, but Andrej Kramaric and Pavel Kaderabek plundered second-half goals to earn Julian Nagelsmann’s side a point, despite the visitors having Kasim Adams dismissed. The result leaves Group F wide open, with second-placed Lyon three points behind group leaders Manchester City, while Hoffenheim trail the French club by three points ahead of the final round of two matches. 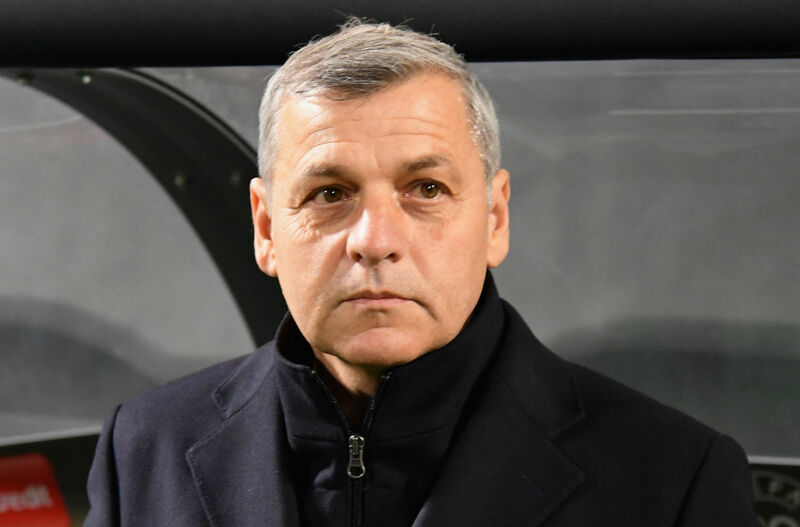 Genesio expressed his frustration after being denied a victory that would have put his team within one point of qualification. Lyon manager Bruno Genesio has announced he will vacate his role at the end of the season amid talk of Jose Mourinho taking charge. “We should have scored the third goal,” he said, according to FourFourTwo. “We made too many bad choices. The players have to be more ruthless.